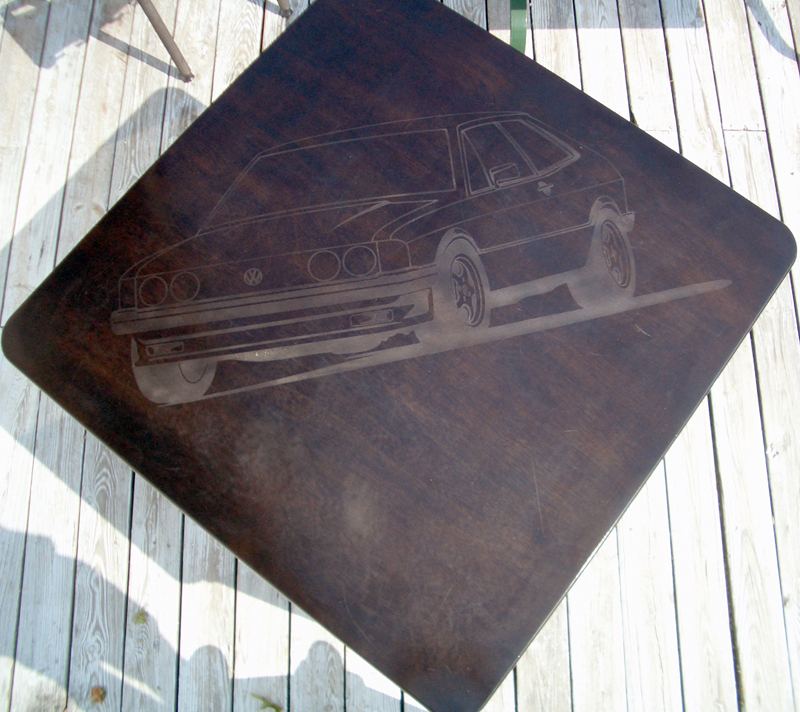 This etching was done such that the blast did not go through the finish for only a subtle change of color. Had it gone through to the wood surface it would have been a much more drastic change of color. The lightness of the blast was just enough to knock the shine off the surface of the finish. It has been sealed using a light coat of polyurethane. Please also take a look at our Vinyl Wall Art for other variations based on the same artwork. 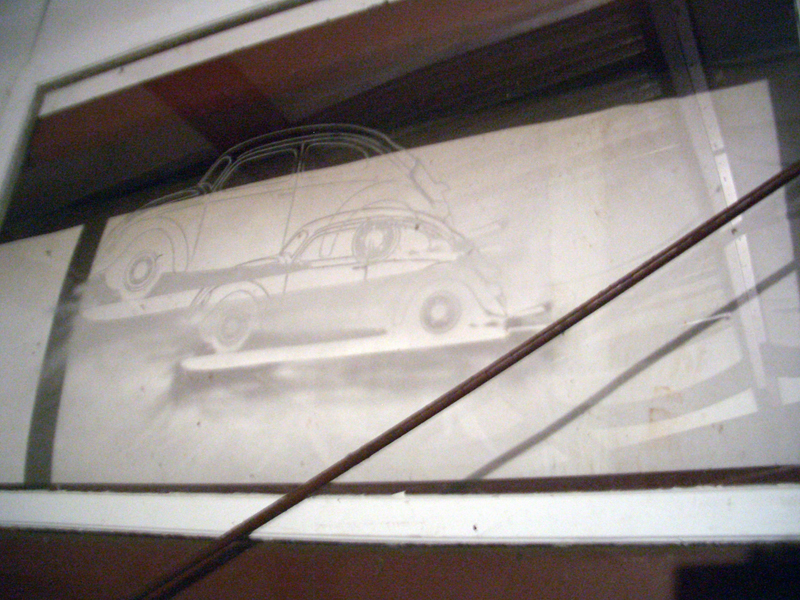 These were experimental etchings blasted into an old house window. The window is mounted on the wall of my garage. 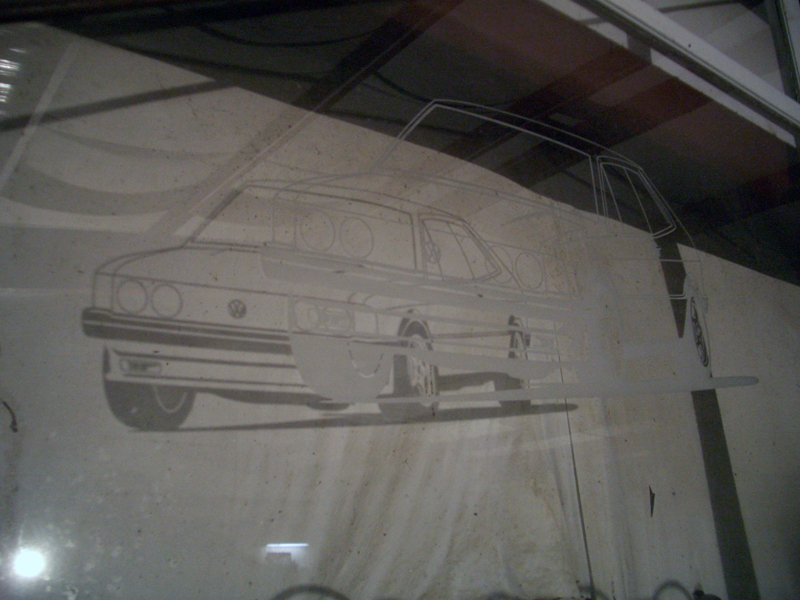 The gray areas you see on the glass are the etchings themselves, and the darker shadow of the image is what is projected from the glass onto the wall behind it. 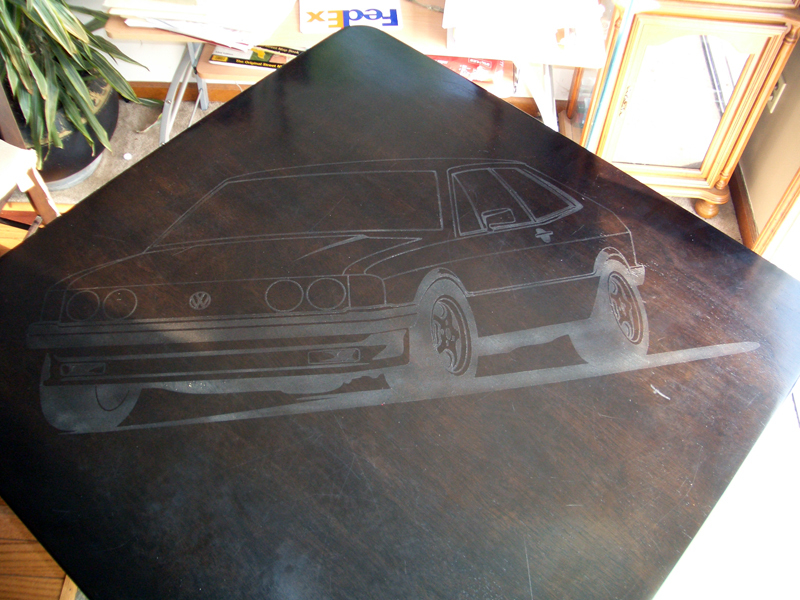 The idea is to etch an image into a glass coffee table in the same way. 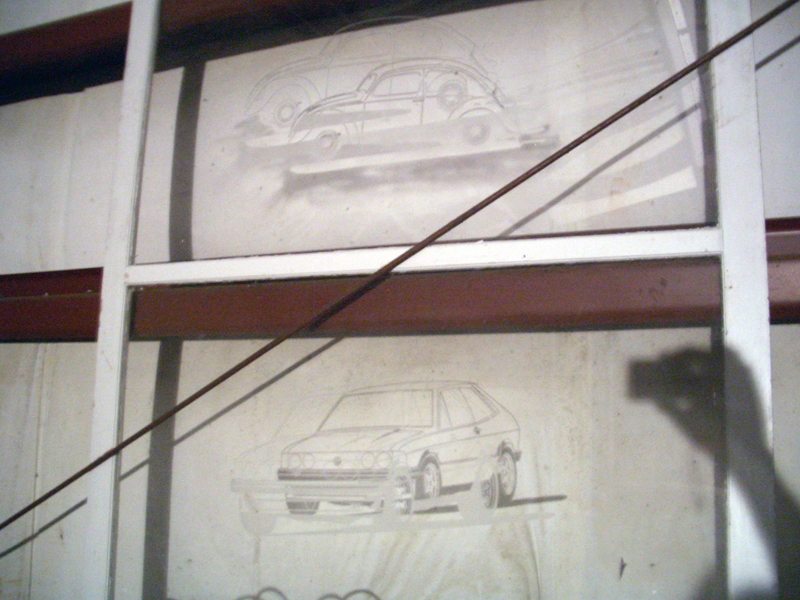 If a light is parked over head, it will project the image onto the floor beneath it. 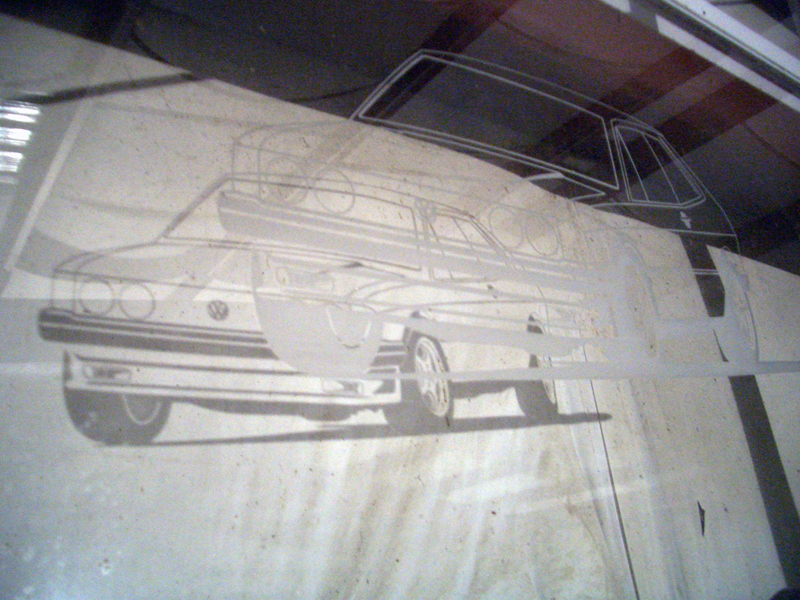 Any image that can be made from a vinyl sticker can be etched in this fashion, your furniture or mine. If you would like to send a wooden tabletop or a glass coffee table, turnaround time is typically three to five days and costs as little as $200 (not including shipping of the table top). If an appointment is made, and you bring your own piece of furniture, your etching can be done, while you wait, in about two hours. Future plans exist for a production runs of glass top coffee tables with any one of the images you see on the Vinyl Wall Art page. Please call for price and availability of these.